Product information "Grenadine / Garza Piccola Tie - Burgundy - Silk / Wool / Cashmere"
Burgundy grenadine tie made from a wonderfully soft silk/wool/cashmere mix. A more versatile winter tie is hard to find; we like this one especially well paired with a green tweed suit, white/blue striped shirt, navy pocket square, striped braces and brown suede shoes. 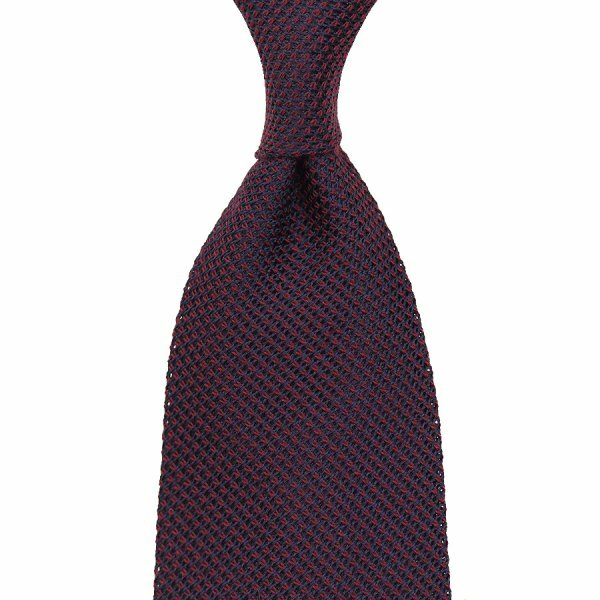 Related links to "Grenadine / Garza Piccola Tie - Burgundy - Silk / Wool / Cashmere"